"Contentious champion Shook Lin & Bok has deep roots in the Malaysian IP arena. With strong ties to the Singaporean market through its regional network, the Kuala Lumpur office is a firm favourite among international brand owners seeking ironclad coverage across Southeast Asia." Recommended for Corporate/M&A, Energy & Natural Resources, Insurance, IT, Telco & Media, Project & Infrastructure, Taxation and Financial Services Regulatory. Shook Lin & Bok acted as counsels for Mumtaz Rakyat Sukuk Berhad as the issuers in the launch of its maiden Basel III-compliant Tier 2 Subordinate Sukuk Murabahah Programme of up to RM5 billion with a tenure of 20 years. Nominated as experts in 6 practice areas: Corporate Governance, M&A, Patent, Construction, Islamic Finance, Trade Marks and Banking. 3 lawyers are listed in elite “Leading lawyers” list. 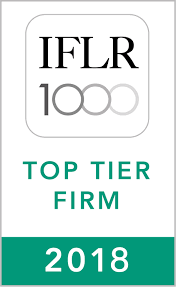 … was ranked a tier one firm in Banking & Project Finance in IFLR 1000 2012. … named the Malaysian M&A Law Firm of the Year 2011 pursuant to the Acquisition International Legal Awards. … acted in the historic first Islamic Bank merger in Malaysia which became effective on November 1st, 2011. … was a finalist for “Malaysian Deal Firm of the Year” and “Islamic Finance Deal of the Year” respectively in the ALB South East Asia 2011 Law Awards. Our firm was nominated as 1 of 3 leading practitioners in Life Sciences (patent) by World Leading Life Sciences Practitioners in 2011. We also named a leading IP firm by World Trade Mark Review in 2011. … was ranked a tier one firm for Dispute Resolution, Islamic Finance, Industrial Relations, Real Estate & Construction and Shipping by Legal 500 2009/2010. 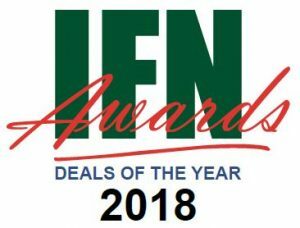 … was awarded Malaysia Deal of the Year 2010 pursuant to the Islamic Finance News Awards Deals of the Year 2010 for its innovative and “first-of-its kind” Sukuk al-Amanah Li al-Istithmar (Sukuk ALIm) transaction. The Sukuk ALIm is structured based on Shariah principles that meet the requirements of the Middle East markets and will encourage greater cross-border issuance and investment activity between Malaysia and the Middle East. … acted in one of the biggest Malaysia merger & acquisition deals in 2010, the 30% stake acquisition in Hong Leong Assurance Berhad. The deal makes Mitsui Sumitomo Insurance (MSI) the second largest general insurer in the country. ALB Legal News. … was shortlisted for the Chambers Asia-Pacific Awards 2010. … was ranked a tier one firm for Banking & Project Finance by Asialaw 2008. … was nominated Asian Legal Business Employer of Choice 2008.